I don’t think there is anything better than a personalized gift. Giftsforyounow.com has a vast selection of gifts and housewares that are personalized and done so professionally. The company ships fast and really sends out gifts that are of a high quality and of expert workmanship. Anything that you order there is sure to please anyone. For gift giving it makes it so much more heartfelt if the gift is personalized for its recipient. When people come to your door its nice for them to know that they are welcomed and that you love having them there. I received a very neat Doormat from Giftsforyounow.com and was so excited when it came. I had it personalized with our last name and I really like the bright nautical pattern on it. This is our beautiful mat! So many people do not realize how important door mats are to have. They keep a significant amount of dirt and muck out of your home and I have them at all entrance doors. I recently discovered that 80 percent of all dust and dirt come into our homes on our shoes. I have friends that require you to remove your shoes when you come into the house and while that is effective in reducing the dirt and dust, it is rather inconvenient for your guests. 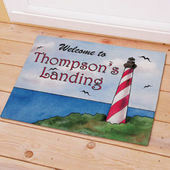 All of the doormats available are safe for indoor or outdoor use and wont slip or slide. What could be better than reducing dust and dirt and making your home look fabulous in the mean time? I like that I can put a door mat on the inside to protect my flooring and on the outside to welcome my guests. 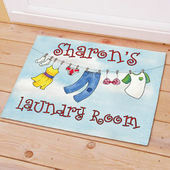 At giftforyounow.com they have a huge selection of door mats. You can change it seasonally, or you can change it with the holidays that come around, or you could also do a theme on all of your yard decorations and stay with that theme. 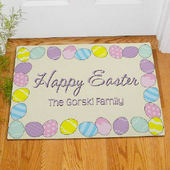 The doormats are 1/8” fleece smooth with latex action backing and white bound edging. These mats are very easy to clean, you can simple hose them off or wash them off in the sink and lay flat to dry outside. Because our mat is inside and the majority of my decor is Lighthouses, the nautical print was just perfect. 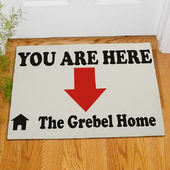 You can personalize the mats to say anything that you like, and at giftsforyounow.com the shipping is always very fast even with the time it takes for personalization. 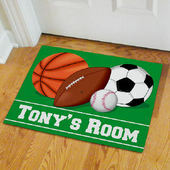 I think its a neat idea to have doormats for your kids rooms and bathroom, with cute sayings or their names on them, that way your guests will never have to guess which room is which. We always have our bedrooms and bathrooms doors closed, as we have little crawlers around that need to be supervised in rooms. 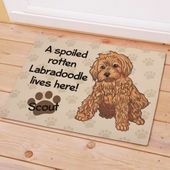 Check out giftsforyounow.com and see just how many unique and fun designs they have for doormats, I was surprised I am sure you will be too. You can also find them on the following social media channels..
Giftsforyounow.com has also sponsored a giveaway for our readers and you can find that here! Enter today!